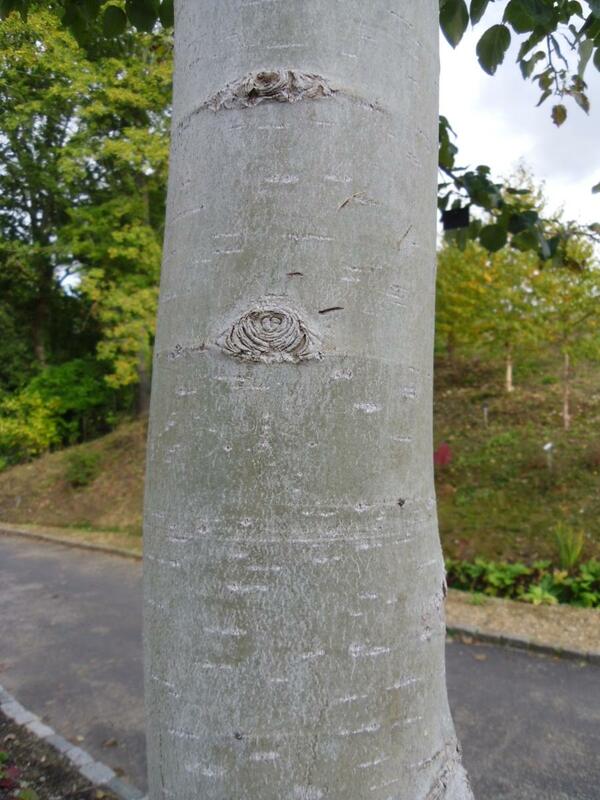 Populus purdomii ia a relatively new tree in cultivation in the UK and still extremely rare. 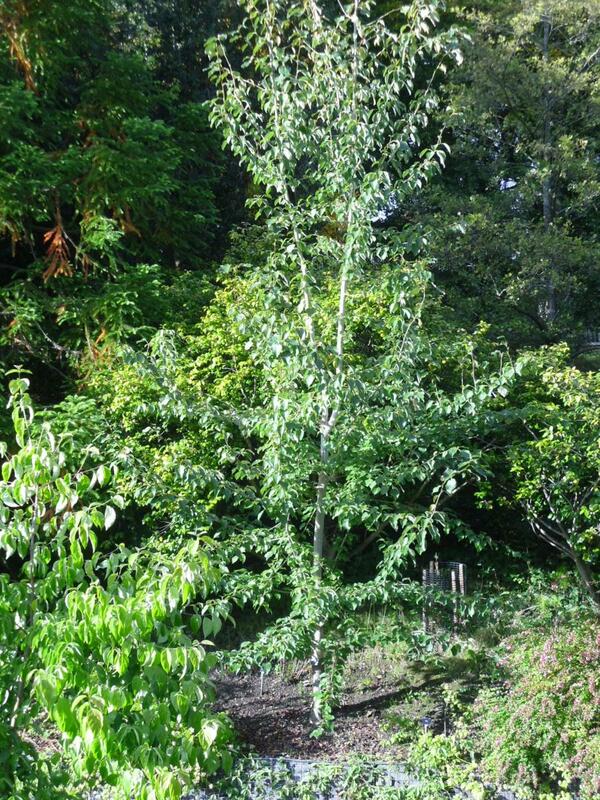 In time this will make quite a large tree and is vigorous and as with most poplars enjoying a fertile deep and moist soil. 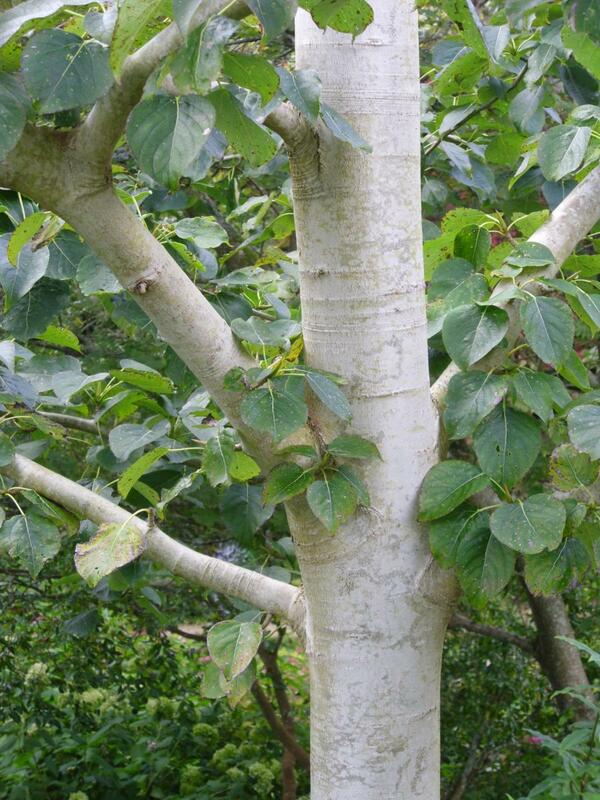 It has very striking ash white smooth bark with stands out in the winter sunshine. 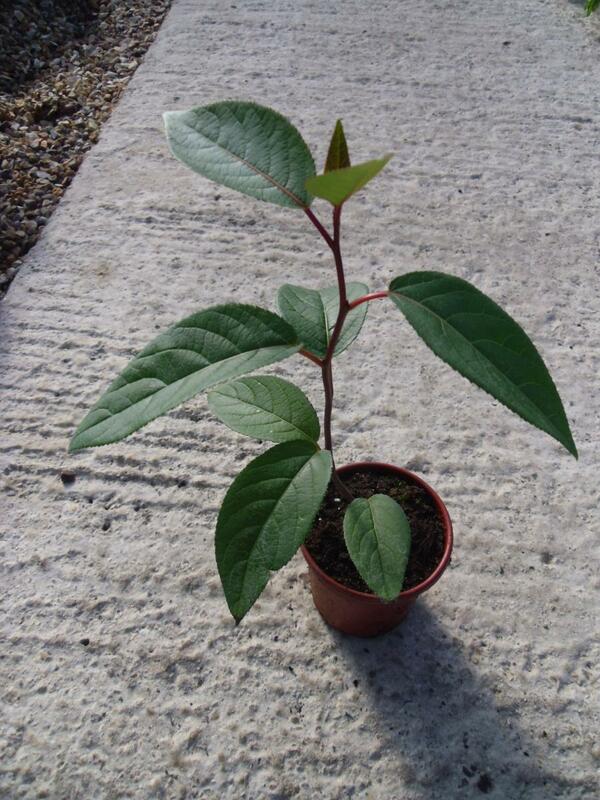 The young shoots in spring are richly coloured with red tones, later turning to deep green with intense silvery undersides, before finally turning yellow and falling. A very nice new tree. William Purdom, after which this tree is named was a plant collector for the Veitch nursery and the Arnold Arboretum (Harvard University), and spent several years in China and Tibet. As well as searching for living material for introduction to cultivation, he gathered herbarium specimens and took photographs of the people and places he visited. Born in Heversham, Cumbria, Purdom trained in horticulture under his father, the head gardener at Brathay Hall, Ambleside. He went on to work in Enfield with the nursery Low & Sons before joining James Veitch's firm at Kingston, Surrey. By 1902 he had been appointed sub-foreman of the arboretum nurseries at the Royal Botanic Gardens, Kew, and in 1905 began his Kew Diploma training. In 1909 Purdom was engaged by the Arnold Arboretum to make collections in the northern provinces of China. His brief was to find plants that would thrive in climates even more severe than that of New England, and thus he spent three years exploring the Yellow River region, collecting and photographing suitable examples. He was co-sponsored in this venture by his former employers, the Veitch Nursery, and also collected herbarium specimens. Among Purdom's finds was a new rhododendron, named Rhododendron purdomii for him by his fellow plant hunter, Ernest Wilson.